Heading to Disney’s Water Parks with your kids this summer? 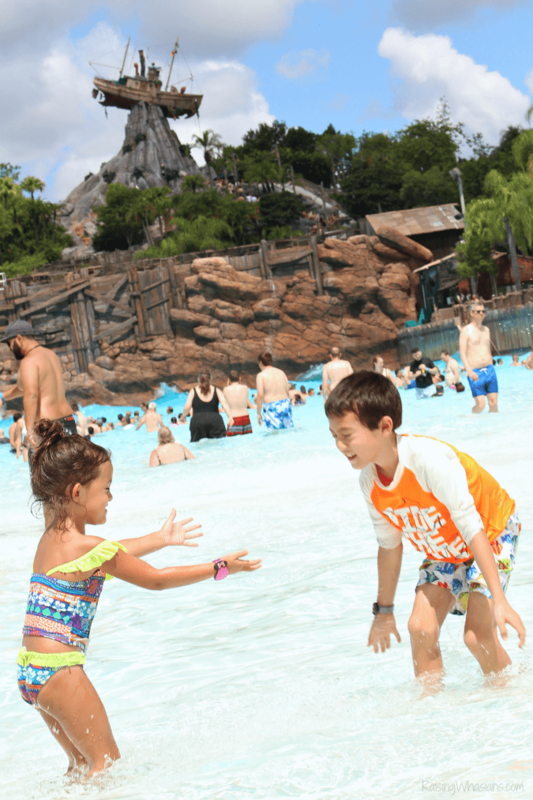 Grab your 10 Typhoon Lagoon Tips for Families! I was asked by Carusele to participate in the #ApplyRepeatProtect campaign, sponsored by Walgreens. Although I have been compensated, all opinions are my own. When your family’s love of Disney and swimming combine – you have the perfect summer adventure. 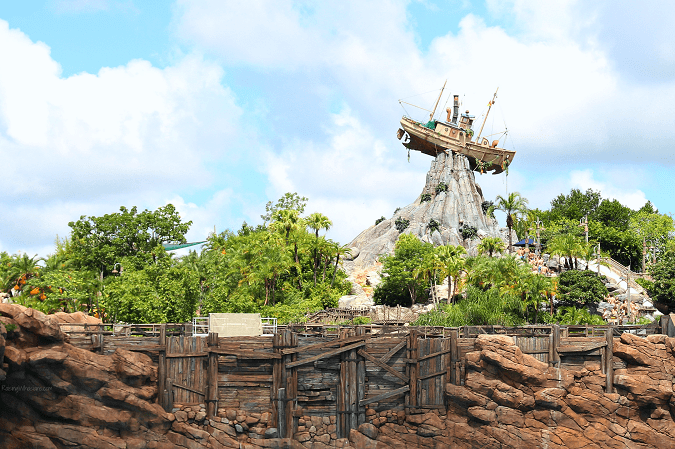 If you’re planning to travel to Disney’s Typhoon Lagoon this summer, you’re going to want to make the most of your family’s day at this amazing Disney themed water park. 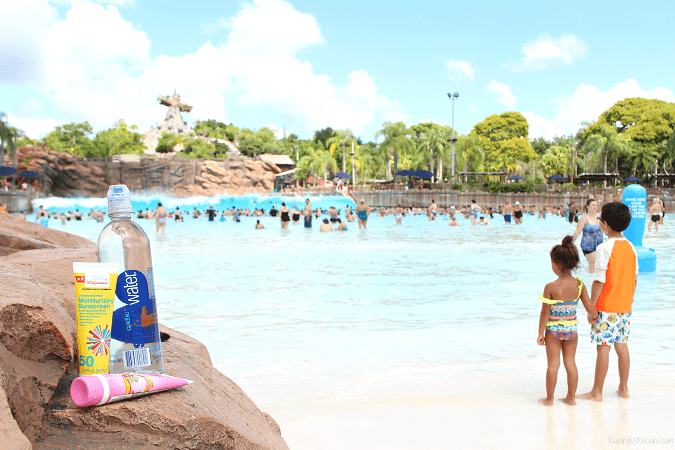 Here are my best 10 Typhoon Lagoon Tips for Families. Be sure to grab the right sunscreen! Typhoon Lagoon hours vary throughout the seasons. I recommend getting there at least 15-20 minutes prior to opening. This will allow you to grab family essentials – like the prized shaded lounge chairs, life jackets and coveted lockers before they are gone. Your family can also enjoy a little “non-rushed” fun before the park opens (staff usually have entertainment such as music and sidewalk chalk). Also one person is chosen as the ‘Big Kahuna’ of the day! Consider wearing bright and noticeable colors so you can pick out your family members out of a crowd. I recommend wearing a waterproof watch and having exact times to check in with each other throughout the day. And definitely have a meet-up spot planned in case anyone gets separated. You may think that you’re staying cool under the Florida sun all day, but dehydration can occur quickly especially during those hot summer months. Little known fact is that you can take in a cooler with you into Typhoon Lagoon. 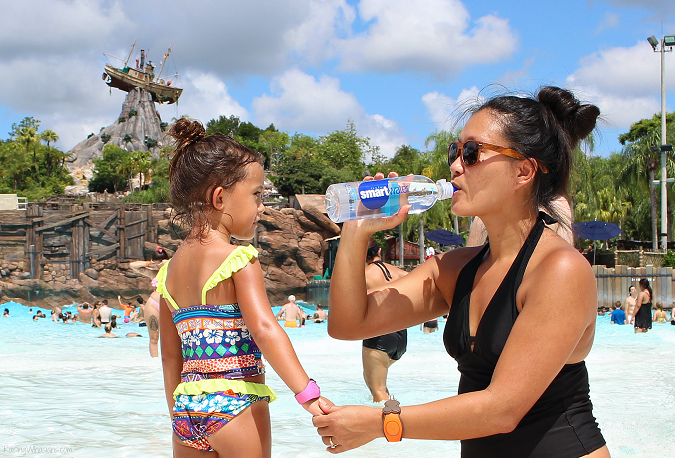 Stay hydrated throughout your day by bringing in your own bottles of water, like smartwater, to take quick sips in between rides. Living in Florida, our family uses sunscreen daily. So I’m always on the hunt for great suncare at a great price. Did you know that Walgreens actually has a great family suncare line? 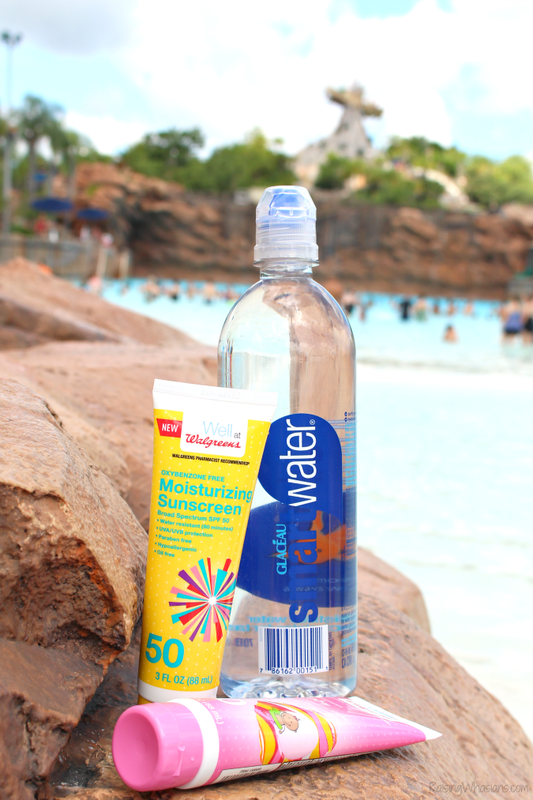 I recently picked up Walgreens Moisturizing Sunscreen and Walgreens Baby Lotion 50+ for our Typhoon Lagoon visit, at a great price of only 2/$5. I personally love the new Walgreens Moisturizing Sunscreen line. Making sure that my skin is protected from the intense Florida sun is really important to me, but without the chemicals. This thick and creamy lotion is Oxybenzone free, Paraben free, oil free and hypoallergenic, protecting me from UVA and UVB rays throughout the day. My girl’s sensitive skin needs extra special care when it comes to sunscreen. The Walgreens Baby Lotion 50+ is a great choice for her water park days. It’s top rated on Consumer Reports too. I love how this lotion is water resistant for 80 minutes so we can maximize our splashing time! Walgreens wants to help your family take care of your skin inside and out this summer with a great deal on Walgreens brand suncare and smartwater! Now through 8/26 you can save $1 when you buy one Walgreens brand suncare and one smartwater. I definitely took advantage of this deal. Just clip the coupon to add to your Balance Rewards card before checkout. Take it from experience! The pool surfaces around Typhoon Lagoon can be rough, especially in the Wave Pool. The added textured bottom can tear up your feet. Add strong currents and pounding waves, you can certainly lose your balance easily as well. I highly encourage water shoes for the whole family, especially your little ones! Save your sore feet so you can enjoy water park day (and any Disney days following). Things get a little wet at a water park, in case you didn’t know that. With so many precious electronic devices in possession these days, the risk of water damage sky rockets. Consider bringing at least one waterproof bag to store valuable cell phones and other electronics to keep them safe and dry throughout the day. 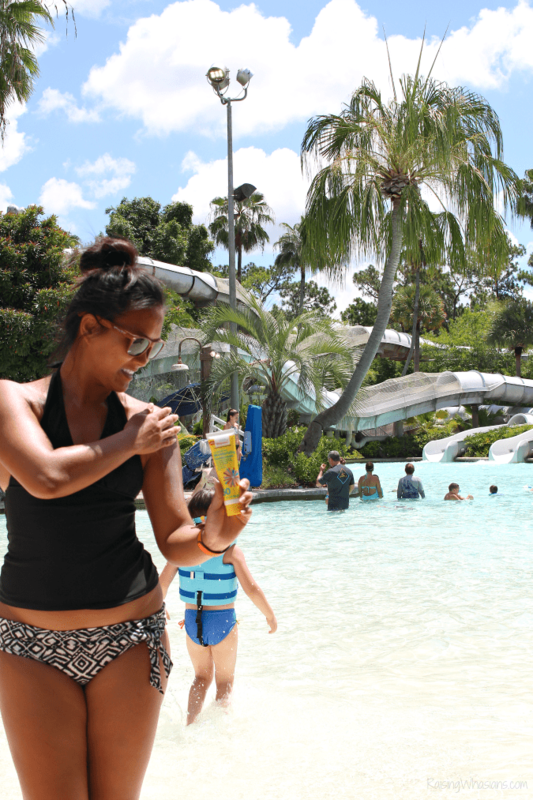 Capturing those precious photos during your Typhoon Lagoon visit is a must. But don’t let your camera go swimming too. Consider bringing a waterproof camera for those priceless smiles, hilarious video and of course, documenting your day. It’s tempting to bring in all of the towels for your Typhoon Lagoon day (“And YOU get a towel! And YOU get a towel!”). But big fluffy towels become heavy sopping burdens faster than you can say water ride. I recommended that you bring one towel into the park for emergencies (wiping off wet faces). Other than that, leave all other towels in your car. Let your clan drip dry in between rides. Don’t worry about the real toweling off until the end of your day. At the end of the day, all you have are the memories. Typhoon Lagoon is certainly an extension of those wonderful Walt Disney World memories and you’ll want to splash down (get the pun?) into the middle of them all. Enjoy those priceless family moments! 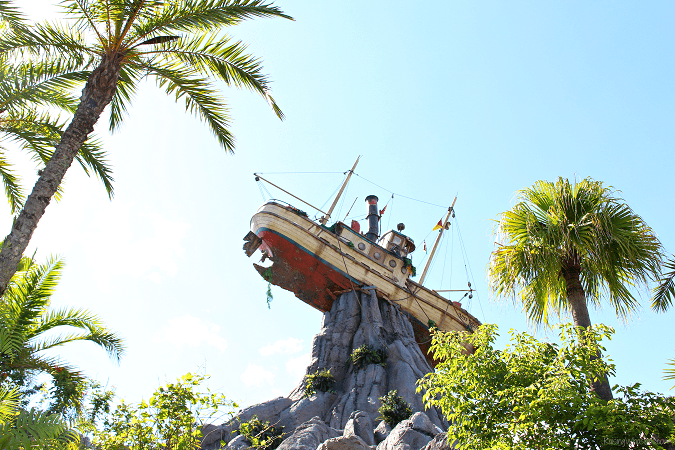 Ready to plan your next visit to Disney’s Typhoon Lagoon? Be sure to join me for the #ApplyRepeatProtect Twitter Party on August 17th, 2017 at 8-9 pm EST for more tips on protecting your family this summer with Walgreens brand suncare (and prizes). Summer is for water parks! Don’t forget to grab your great deal on smartwater and Walgreens brand suncare now through 8/26 to keep your family safe in the sun, no matter where your summer adventures take you. 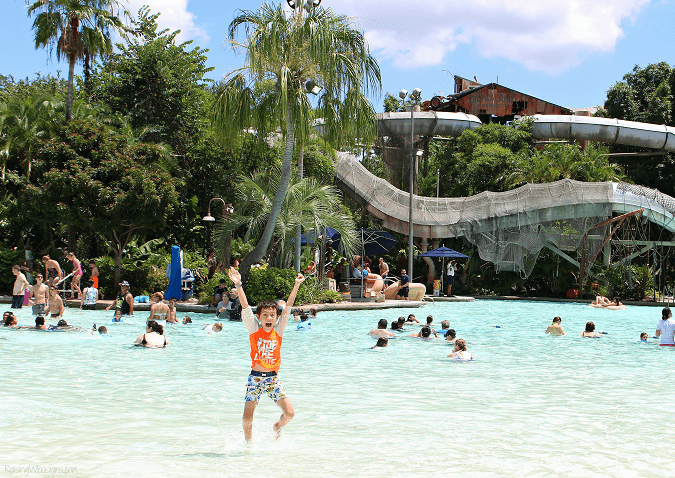 What are your best Typhoon Lagoon tips for families? 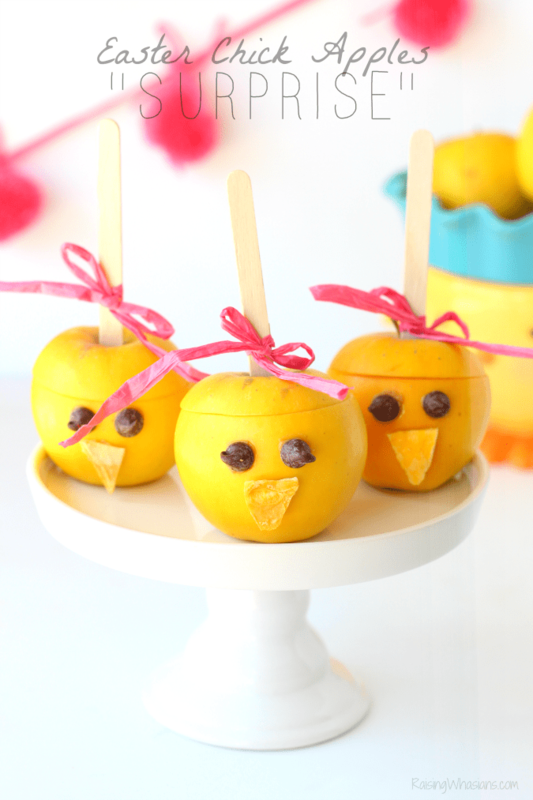 Be sure to follow Raising Whasians via Facebook, Twitter, Google, Instagram, Pinterest and YouTube for family travel tips, easy recipes, kids crafts and more!